There is a database in the brain within which all the organs of the body are coded to their correct function. This database is triggered by the stimulation of certain points and areas to signal a reminder that something has been modified to affect this function. And thus the correct functioning can, when possible, be restored. Dien Chan or 'Vietnamese Facial Reflexology' is the youngest of the reflexologies to appear on our planet. To date, it is the most powerful of the reflexologies as this stimulation can be performed on oneself independently. It was established by Professor Bui Quoch Chau who, with no experience in the world of therapy, worked with a group of acupuncturists to experiment, create and code a therapeutic possibility. Dien Chan is the fruit of his passion for reflexology and Vietnamese medicine which puts the face at the centre of everything through massage, stimulation and knowledge of vital points. It allows anyone to work on themselves independently, at any time and to combat any symptom in their body, every day, as often as they choose. The technique was invented in Vietnam through the use of needles on the face but was always intended primarily to reach everyone. The Vietnamese were already working with the face to resolve health problems for hundreds and thousands of years. Indeed, facial massage remains and popular aspect of their culture today. Building upon this local behaviour, Professor Chau studied a grid of infinite points and maps (a departure from ancient knowledge) to decipher how the internal organs are placed upon, and connected to, the face. His brilliant and modern intuition led to the depiction of maps for the face and also the body. Therein, Dien Chan in its full application is a 'multi-reflexology'. As it was designed, this technique is perfect for the population it was born to. However, valid techniques and valid medicines cross the confines dictated by men, by time and by space; they remain useful beyond their origin. In the Orient, the holistic attitude towards health is extremely interesting and reminiscent of our own ancient traditions which we have lost in the name of official medicine. Nonetheless, more recently we are recovering such therapies as a means of 'complementary' treatment to be applied in addition to official medicine. This emergence includes our technique. It should be recognised that in the Orient such therapies are performed in a manner much more invasive than is normal in the West. If we want therefore to save them and to render them viable here, we must translate them to meet the needs of the population with which we wish to share it. This has been our work; the mission of Beatrice and Vittorio, the duty of the academy, our story: to find the correct language and order so that this technique would not be lost or wasted in the West. It has been an attempt to return it to everyone, not modified but re-implimented and de-coded and named Dien Chan Zone®. It works to restore the correct flow of energy in the body. The body signals to us a problem by means of a pain or discomfort in the body. Such a symptom indicates an energetic block. An energy block means there is a difficulty in circulation for the energy itself along the vital life force which nourishes our body. It is never a synonym for illness, but only a major request for energy (circulation of blood, linfatics, nervous, respiratory, digestive, sexual and or purely energetic) by one or more organs or systems. With the possibility to stimulate these interesting areas by ourselves throughout the day, we can regulate and encourage the movement of global energies in the body with particular attention to the zone which signalled the symptom. It is suitable to treat symptoms presented in the acute, chronic or preventative phases. In the first instance, we would work in first aid mode with treatment of a few minutes to lessen the pain. In the second instance, we would work with a treatment of 30 to 60 minutes where the chosen system is worked until we are able to achieve various responses. Every time that you work a symptom we intervene to affect the physical, emotional, mental and spiritual condition of the recipient with relation to the chosen organ. In the third case, we would work the most delicate appartatus with respect to an energetic response to, for example, a food, an allergyor an intolerance. Once we have identified the apparatus in question, by working to rebalance we can possitively alter the balance of our immune system. Therefore it is also a great tool at a preventative level. HOW DOES A SESSION WORK AT MISAOTRA? 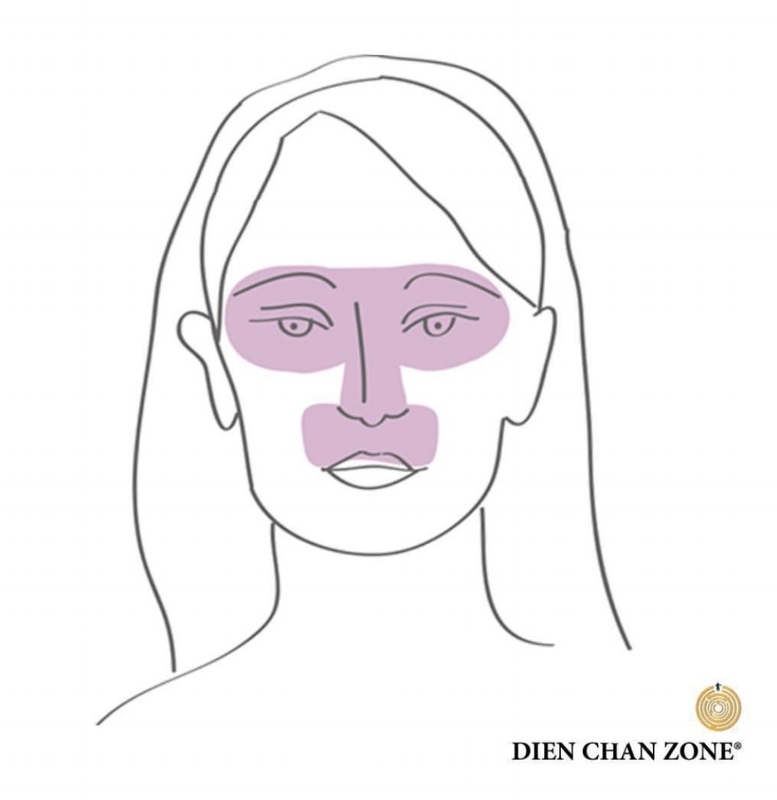 Dien Chan Zone® sessions can be booked alone or paired with any Skin Ritual. 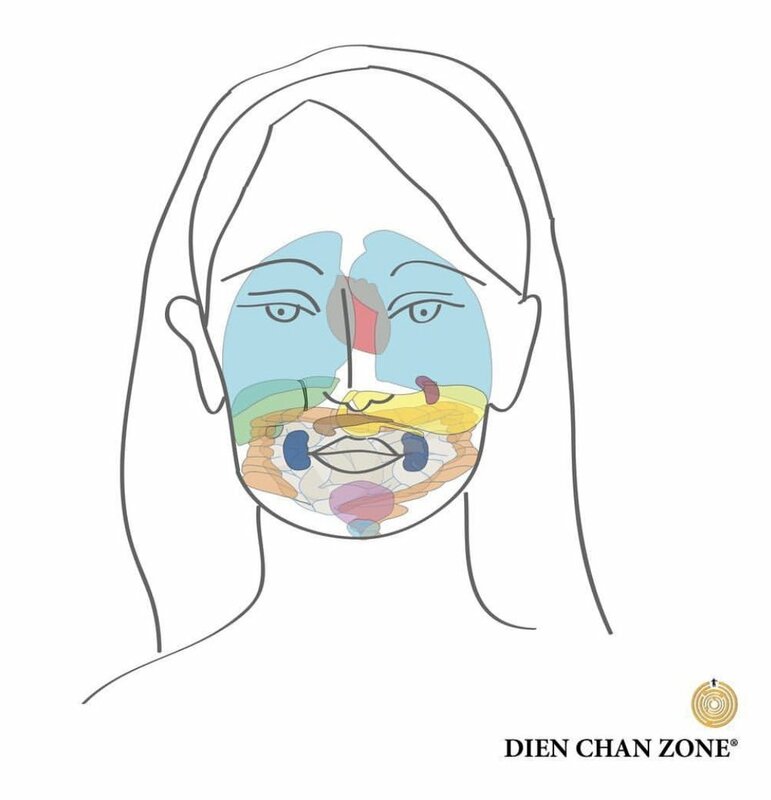 In the case of pairing with a facial treatment, the Dien Chan Zone® session will be administered AFTER the facial. During the Dien Chan Zone® session it is important that a deep energetic connection be made. This being said, we will begin our session with an in depth consultation to determine which map(s) best address your symptoms. Therapeutic treatments are held in duration of 30 min. (1 map) and 60 min. ( 1-2 maps). After the session you will be given a copy of your map to take home and practice daily self-healing for 21 days. A break of 7 days is then required. After the 7 day break, even if all symptoms have dissipated, you will continue with the map assigned for another 21 days and may come in for a professional session. The benefits of Dien Chan Zone® are endless. From calming the nervous system for insomnia, chronic back pain, female specific ailments to digestive disorders and more.